Spring is close by, and as it begins to warm up you can be sure that there are those saying ‘this is the year!’ as they dive into their new goals. Maybe they’ve joined a new sport, or maybe started a new diet? Well, there’s a sharehouse out there with an environment made just for getting you off the couch and moving. 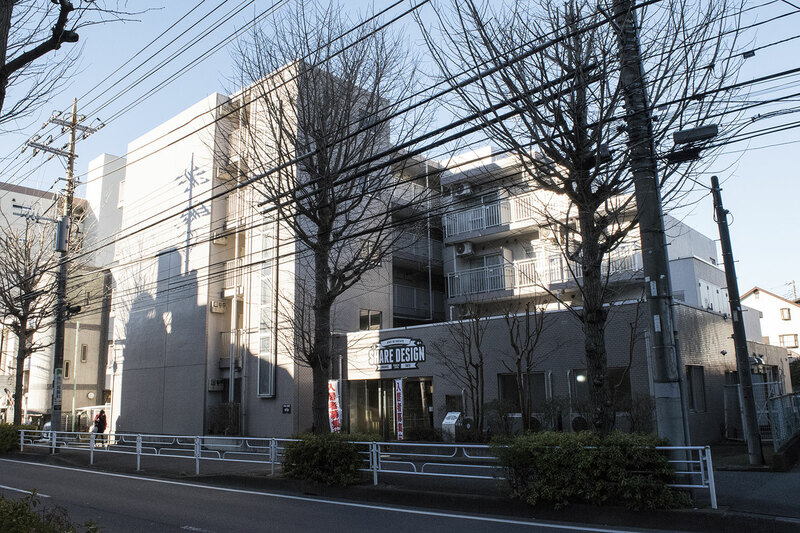 The property is located in Kanagawa prefecture, Aoba ward’s Aobadai. While also a commuter town right next to the big city, it has a relaxing, impressionable atmosphere. The tree-lined streets are beautiful as well. 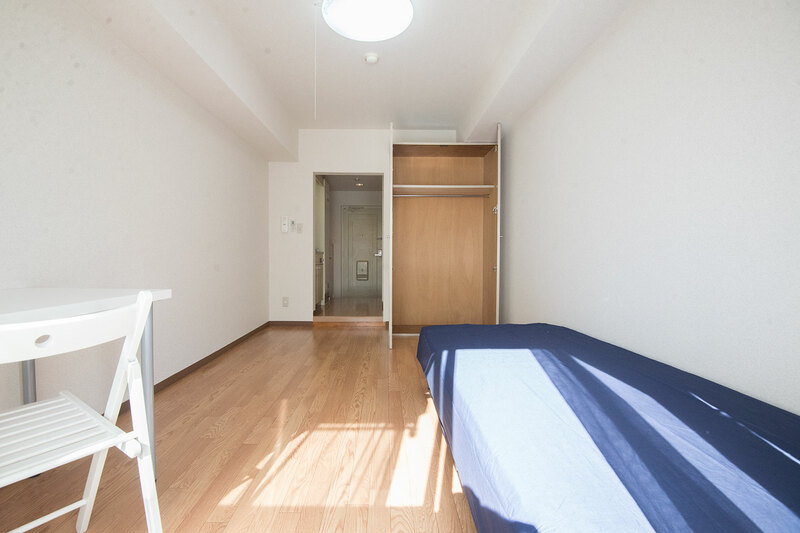 We’d like to introduce a sharehouse that sits about ten minutes away from Aobadai station: ‘Share-residence Aobadai’. 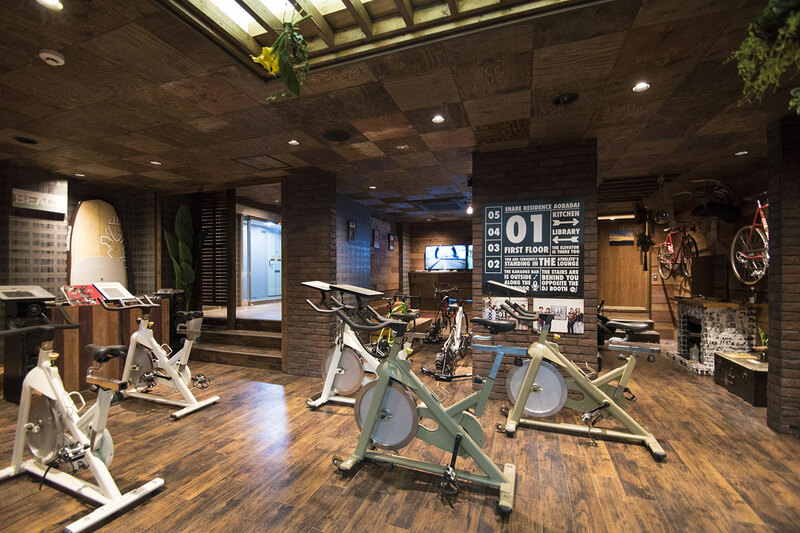 This is a sharehouse based on the concept of training for triathlons. 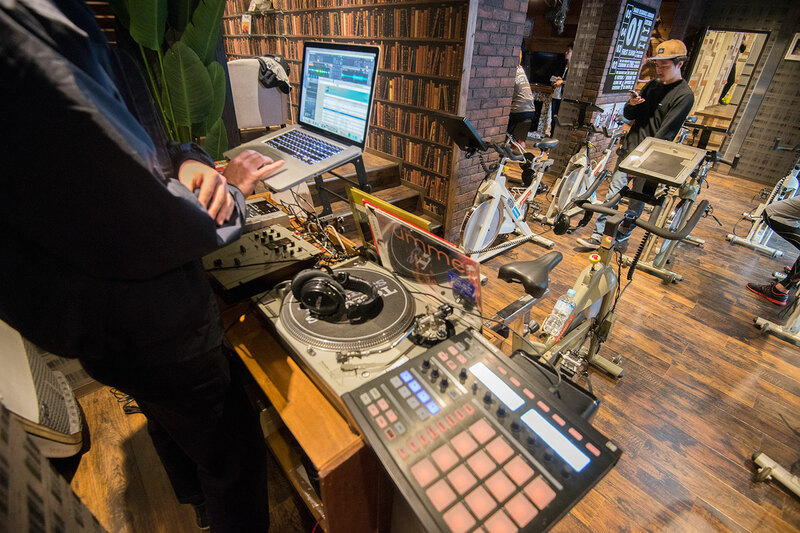 The main lounge houses two types of training machine bikes, and you can even take lessons from a running coach to support your road to a triathlon. Well, not everybody is going to be that serious about their training for triathlons (haha). If, "I want to diet and get up and move!” is your goal, then this sharehouse is just right for you! And with that, let’s introduce the house! 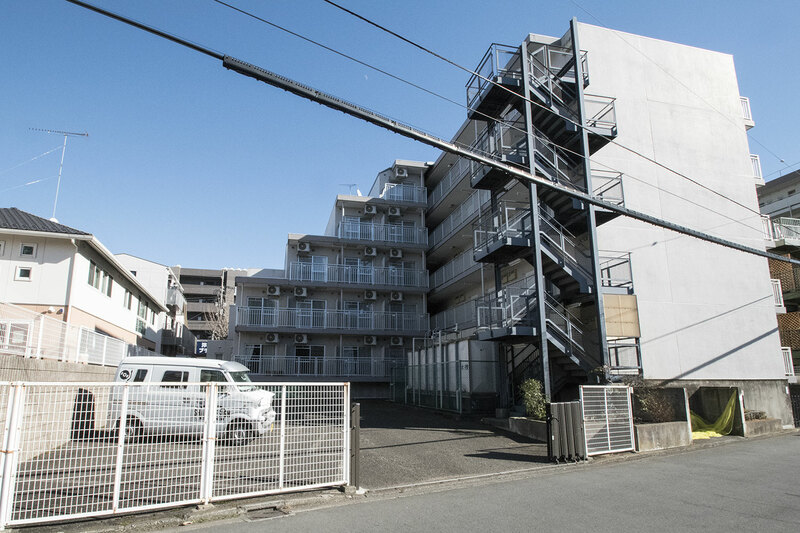 Share-residence Aobadai, housing a total of 92 households, looks more like your average Japanese apartment complex than a sharehouse. 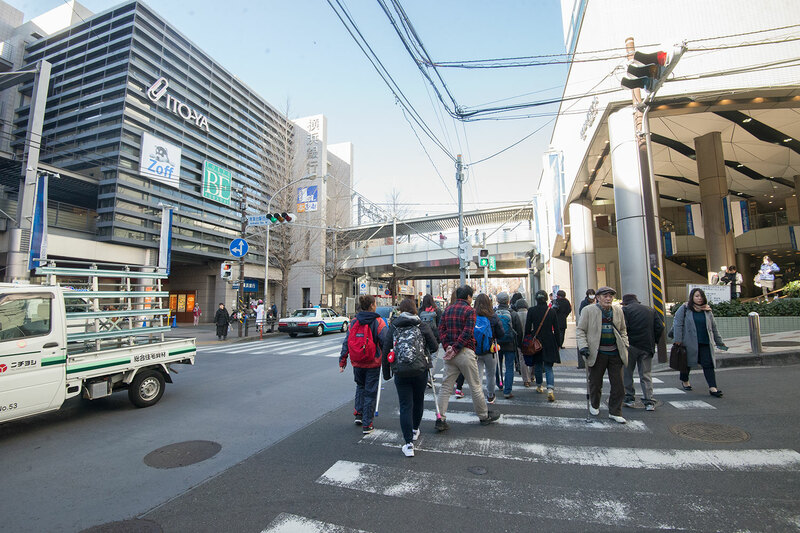 From the station to the actual house, there’s a single road that boasts various stores, from a Tokyuu store to an Ion supermarket, and even a large pharmacy right next door to the sharehouse. You’re pretty likely to buy your food supplies near the front of the station, and your day to day supplies from the pharmacy. Here we have the front of Aobadai station. There are multiple universities nearby so there are plenty of young people in the area. Well then! 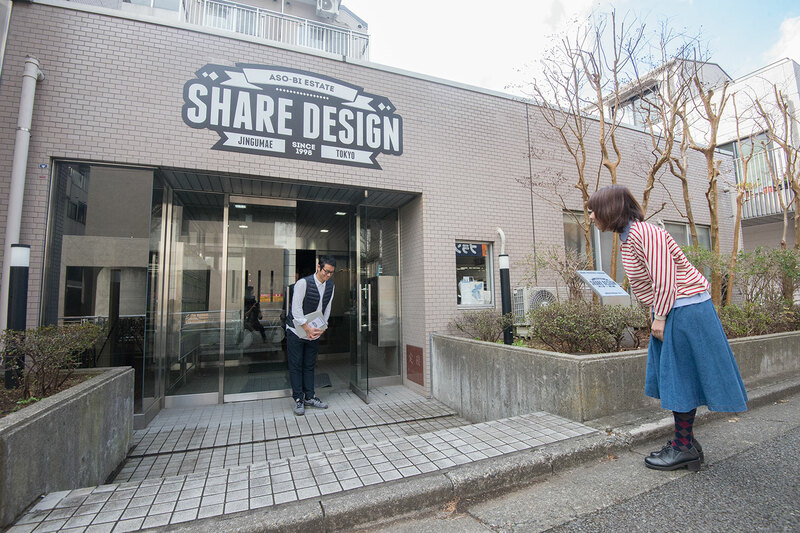 We’ve come to visit the sharehouse with the Share Ambassador Miss Rin! Rin is a top blogger in Taiwan. Mr. Fujii of the management staff came to greet us at the front door. The front entrance is decorated with a really awesome logo. We walked through the auto-lock double doors inside. 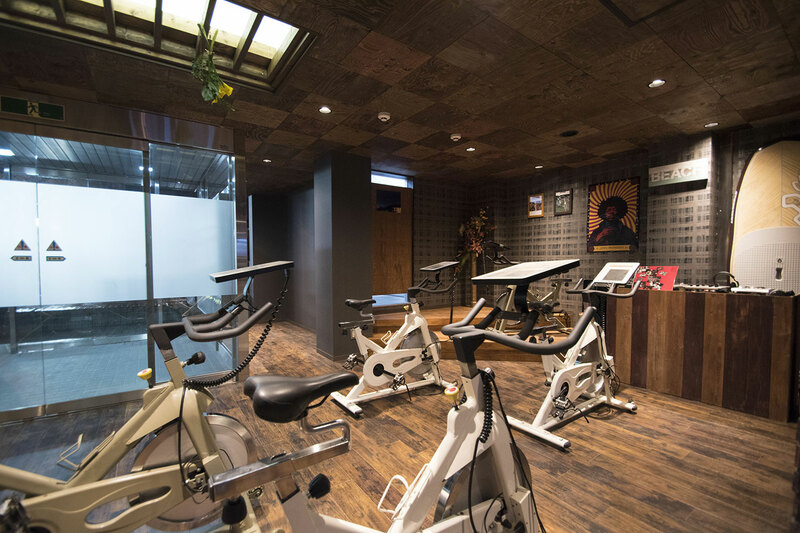 There’s no doubt about it that the lounge where innumerable training bikes are installed for training and display surprises guests who’ve stepped in. 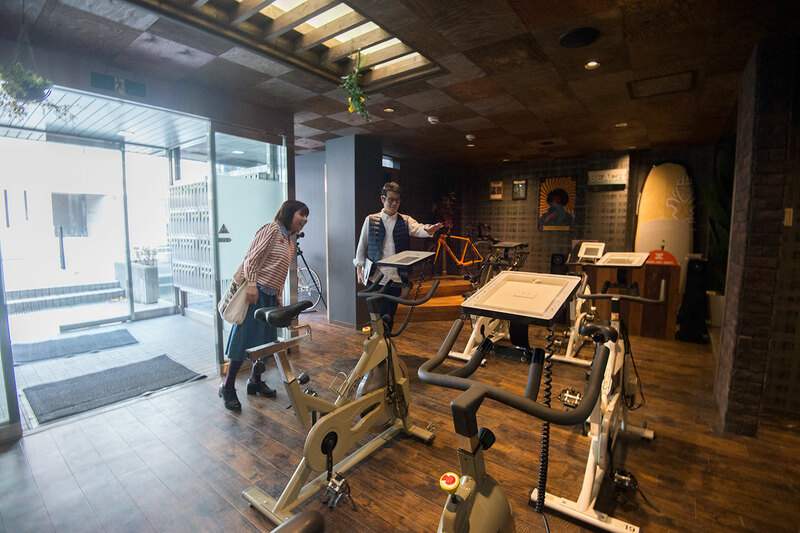 Since the lounge is just outside the entrance, you’re likely to see somebody training on one of the bikes everyday, and who knows! Maybe something will stir up inside of you, inspiring you saying ‘I should try it too!’! It’s definitely a space worthy of being the main face of a sharehouse based on the concept of triathlons. The dim lighting gives off fancy, refined feelings in the room. 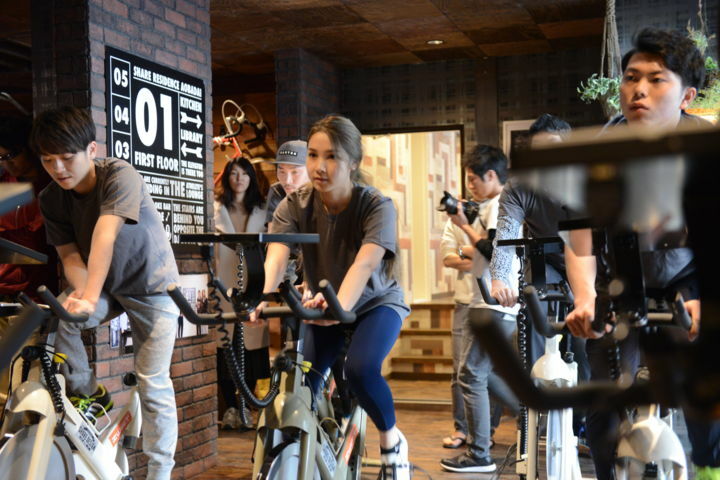 Challenge the World’s Cyclists with the newest item popular overseas! 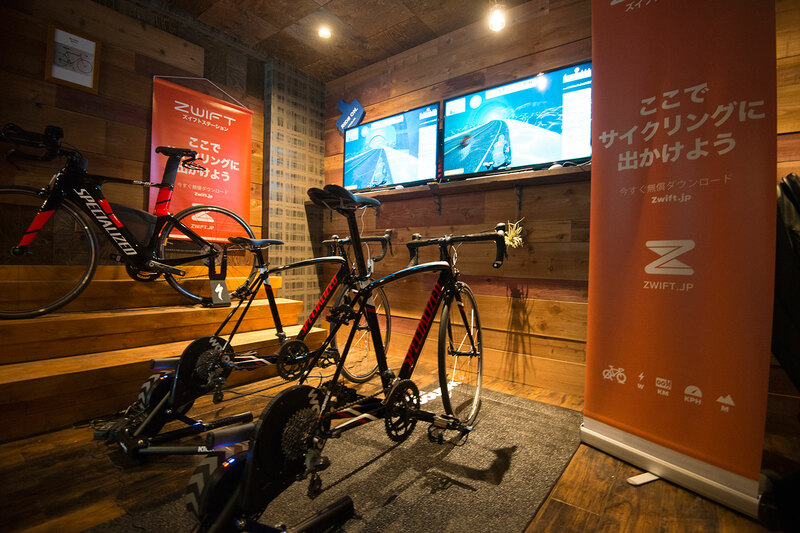 You have the opportunity to train with the ‘ZWIFT’, a road bike that’s currently really popular overseas. 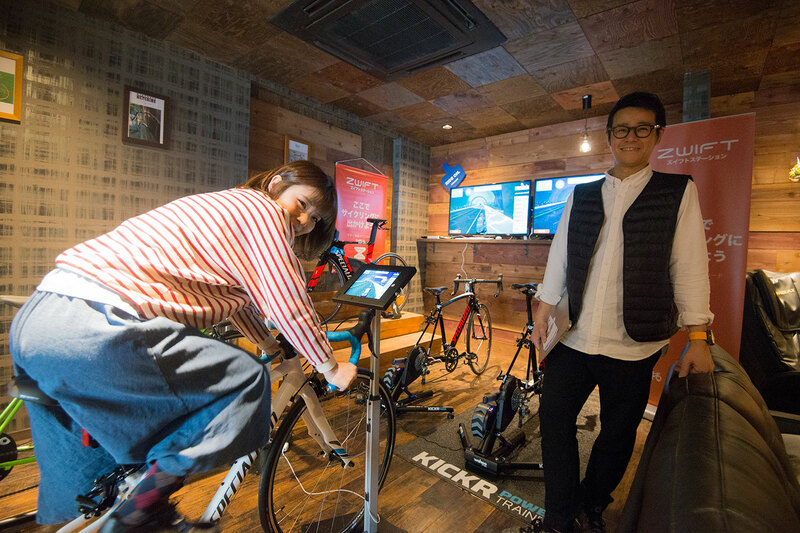 When you actually try out the bike, you’ll see that an avatar on the display screen that, from the training room, makes it feel like your cycling outside in the real world. Distance and speed are, of course, monitored on the screen as well, and internet connection allows you to race other ZWIST players online in real time. 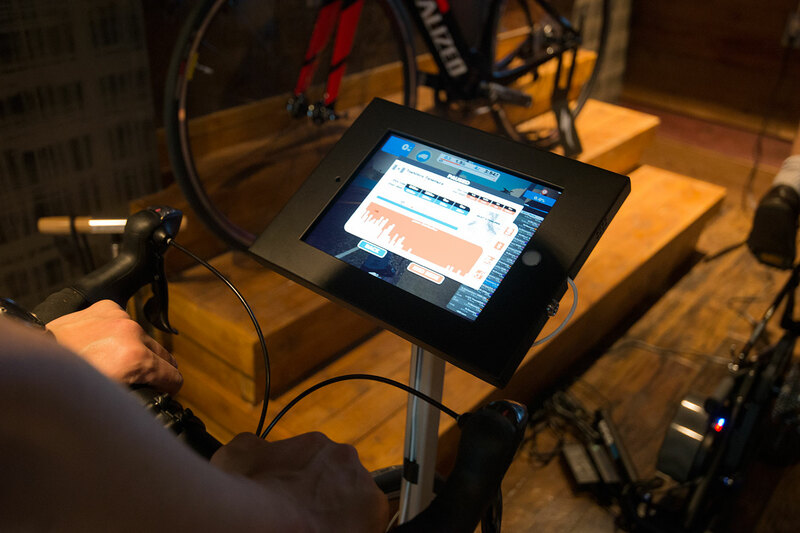 Technology like this could be really useful in snowy regions where outdoor racing is difficult. 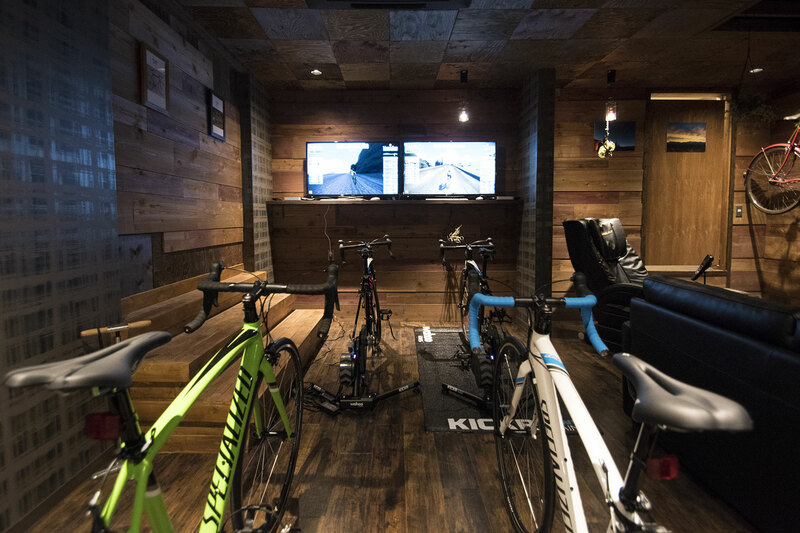 We had them give ZWIFT a try for us. The display above the handles showed your current speed, distance and even current incline levels very realistically. 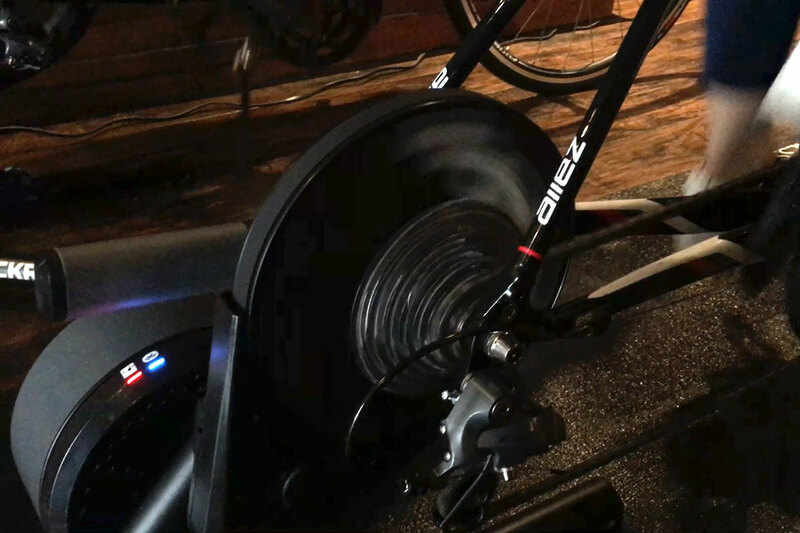 The rear wheel has been remodeled to ZWIFT specifications, and the required force needed to push the pedals forward changes based on the inclination displayed on the screen. 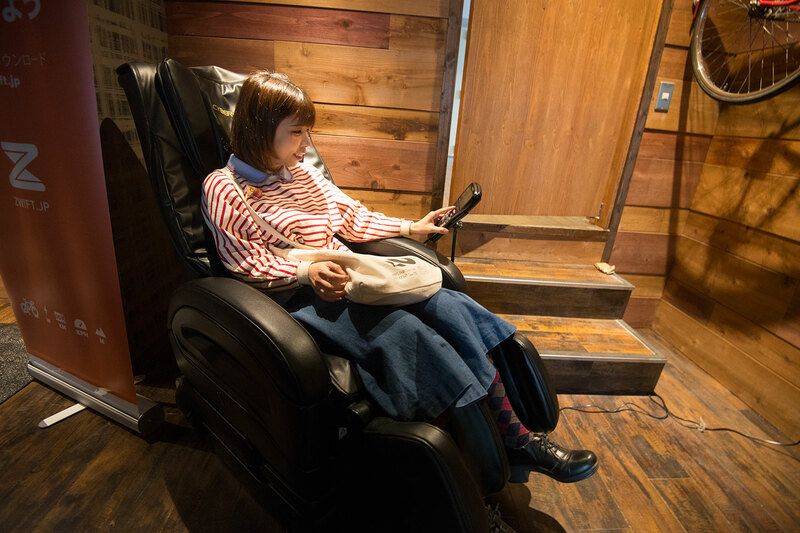 Rest after a training session is also important, so give a massage chair a try when you’re finished to relax. 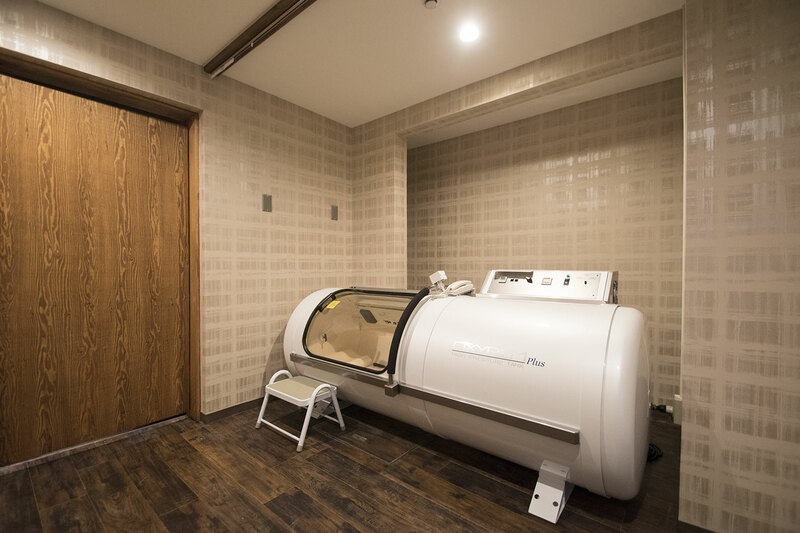 There’s nothing like this oxygen capsule! On top of helping with fatigue, it also aids in anti-aging and is recommended for post-workout recovery. Pedalling on your own is fine, but working out with everyone adds another level of excitement! The photo is of the opening event. The trainers came out and completed a jam-packed lesson lasting forty-five minutes. It’s really tough, but the feeling of achievement after you’re finished makes it all worth it. 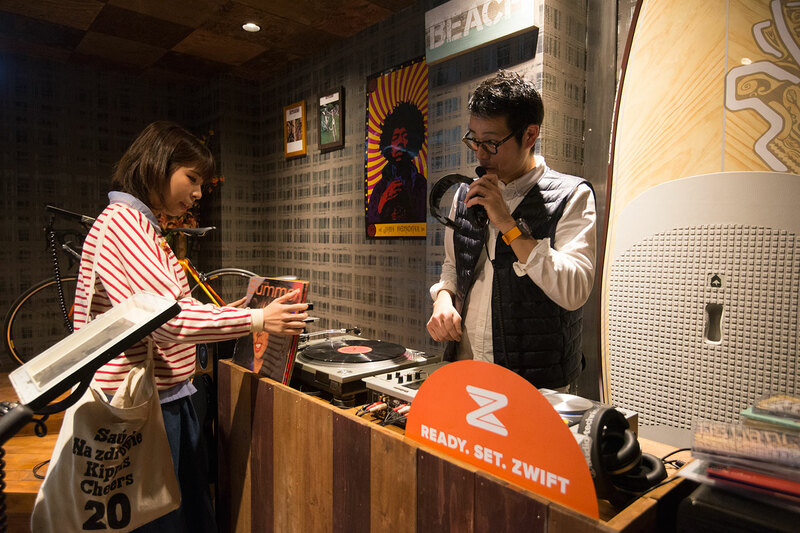 People who can DJ may have an environment to practice at home. After introducing USEN, there’s always some kind of background music. 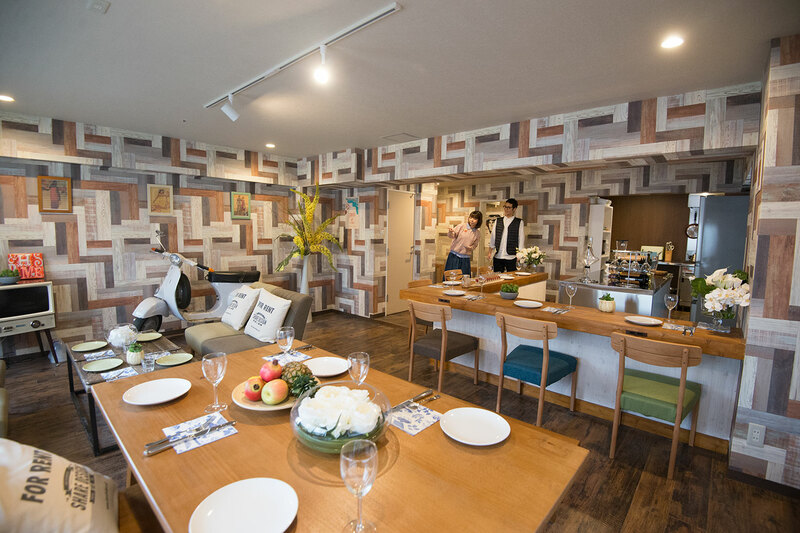 Next up is the living room of Share-residence Aobadai where the residents all hang out. From the floors to the wall and even the furniture, the living room mainly utilizes wooden material, giving off a warm atmosphere. 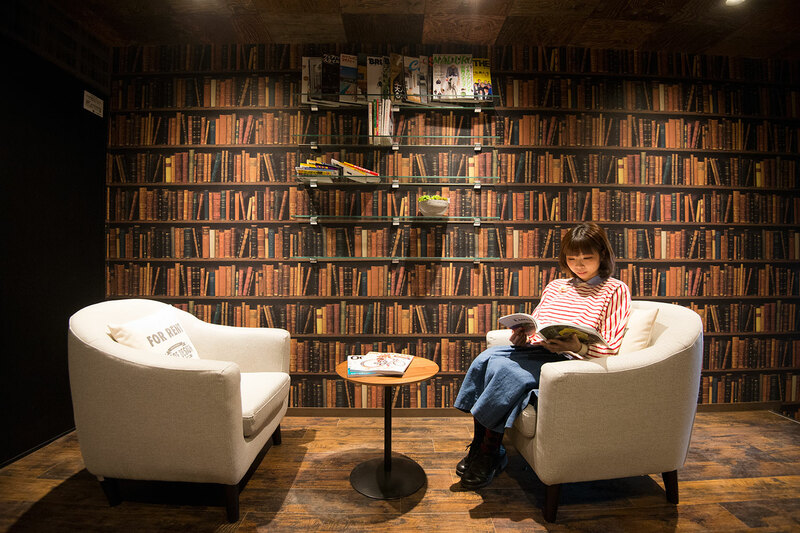 While some may feel that the living room is too small to fit 92 people, the reality is everybody has their own lifestyles and schedules, so it’s very uncommon for the living room to be filled to the brim. 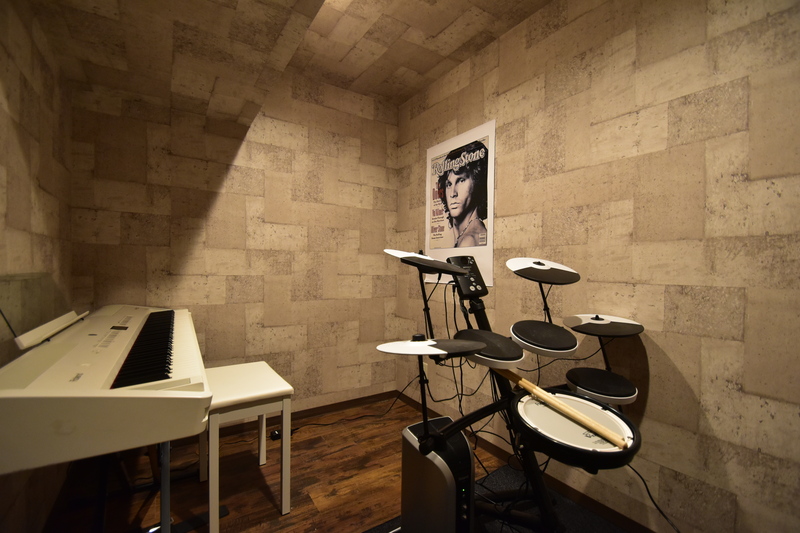 The living room is set with a music room as well, and because there’s a bit of distance between the two rooms you can practice as much as you want. A kitchen to be proud of can be found here. The silver kitchen is like one you’d see in a restaurant. The firepower is great! 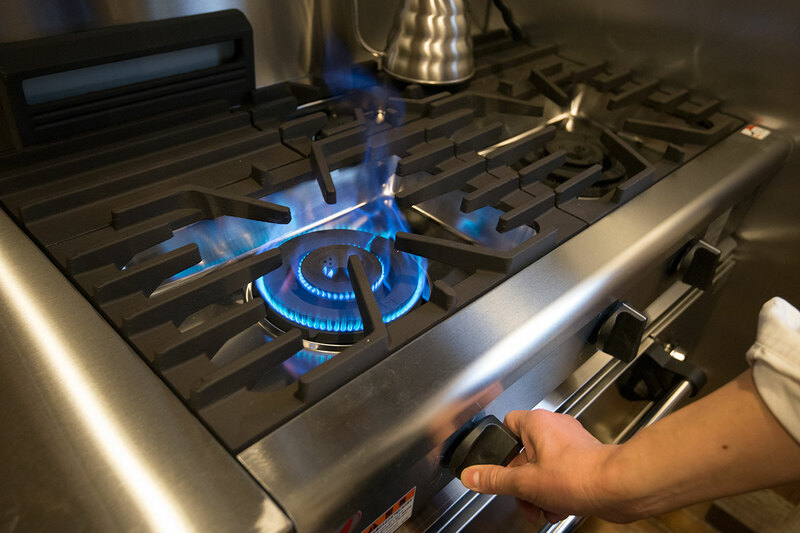 With such professional facilities at hand, you might end up wanting to try out new dishes that you’d never thought to before. 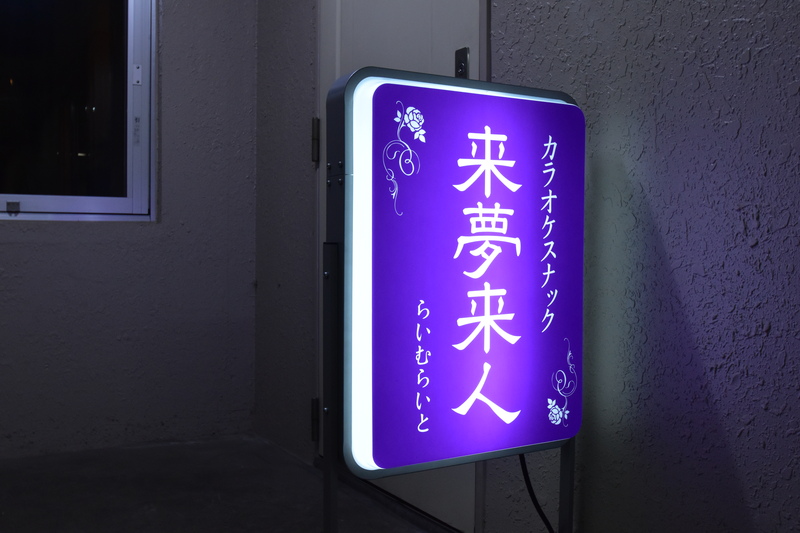 Next, let’s take a look at this suspicious neon sign we found that connects the lounge and the rooms. 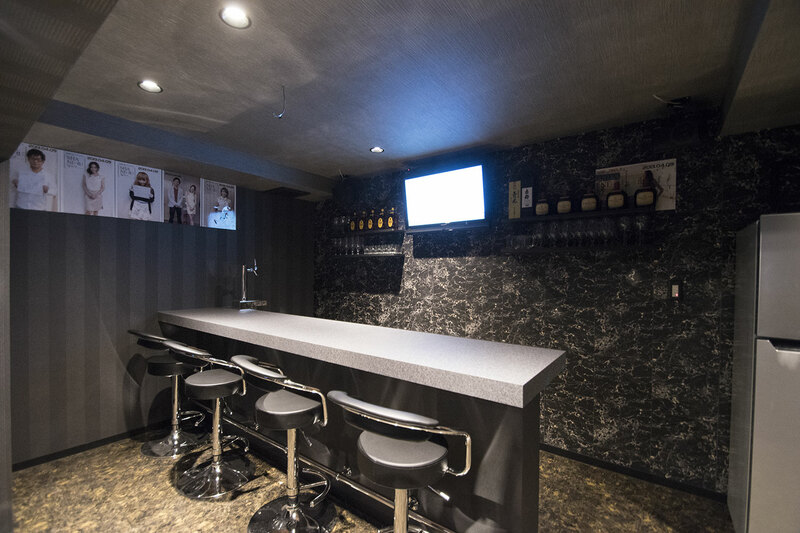 ‘Karaoke snack-bar’ is displayed on the sign, but this is a sharehouse; definitely not a bar… right? We stand corrected! In the sharehouse sits a snack-bar of the same quality as a real one. Who could be standing on the other side of the counter? It’d be funny if one of the residents was the ‘bar mama’. 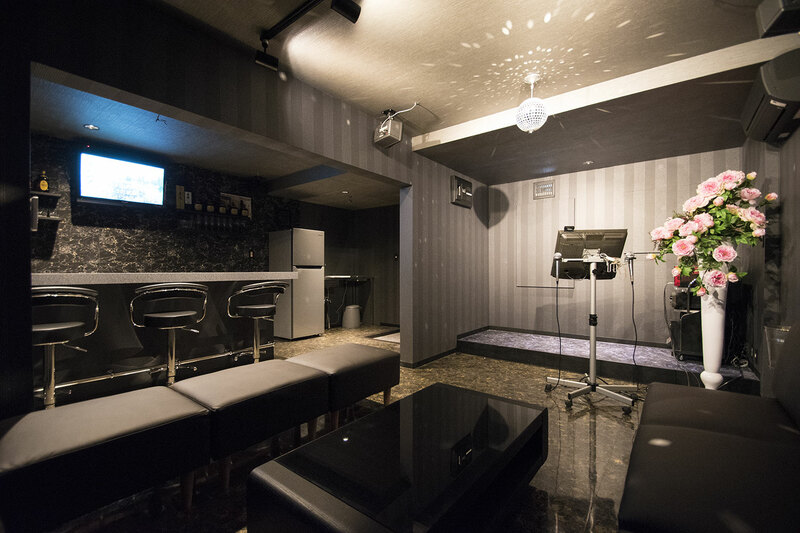 When you think of snack-bars, you think of karaoke! 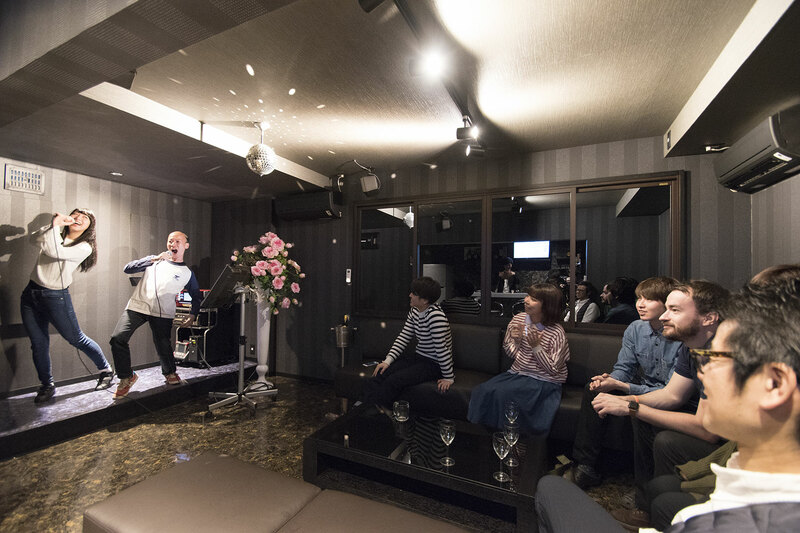 By inserting coins, you can enjoy some karaoke using Live DAM. 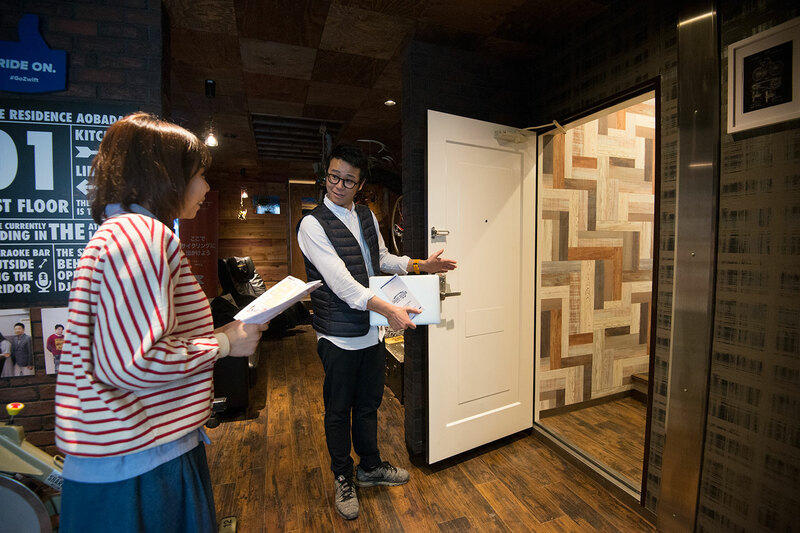 This sharehouse was originally renovated from a company dorm. When you think of your average sharehouse, you think of a place where the rooms are private, but the bathrooms, kitchen and the so on are all shared, placing a wall in front of many people who may be nervous about moving in. 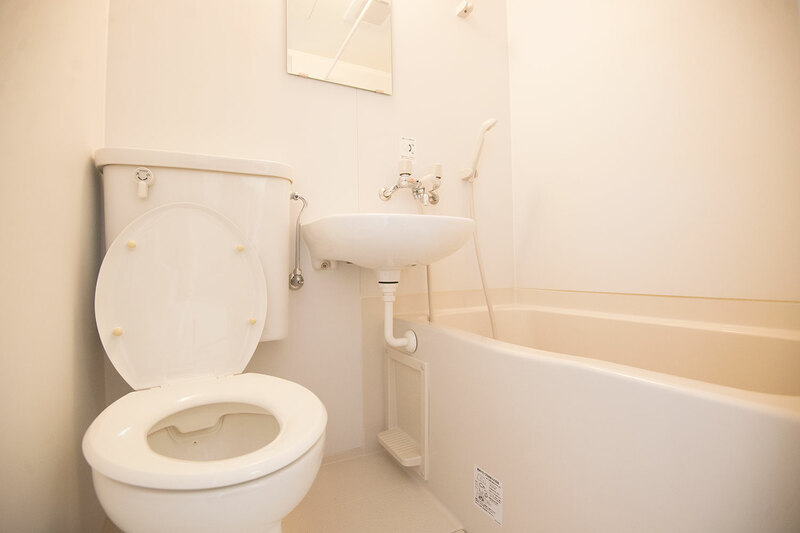 However, Share-residence Aobadai boasts a bathroom, bathtub and kitchen in each private room, giving you a partial single-living experience. 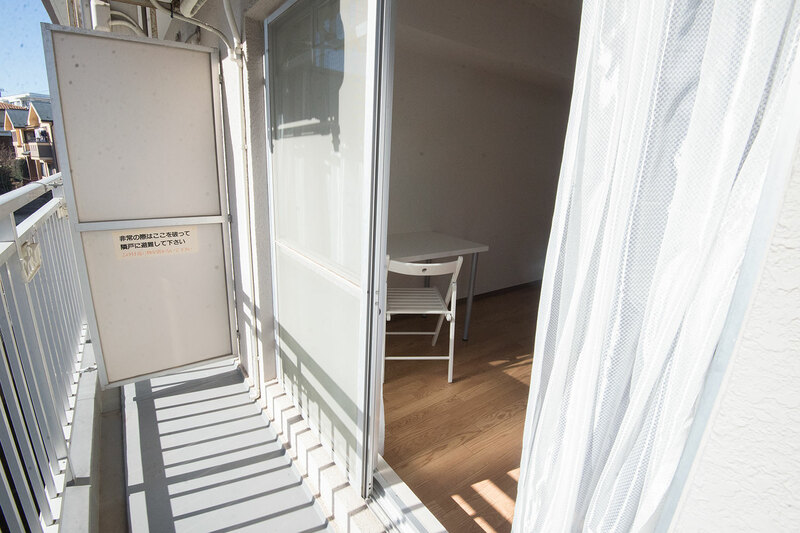 For each room, you walk down the outdoor walkway. Now, let’s check out the rooms! Each room is set up like this. 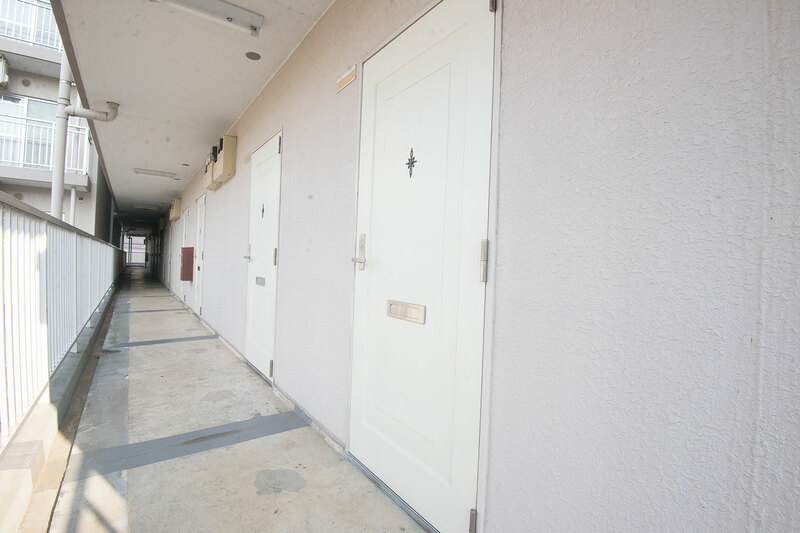 The appearance isn’t much different from a one-room apartment. Every room has a balcony like this. 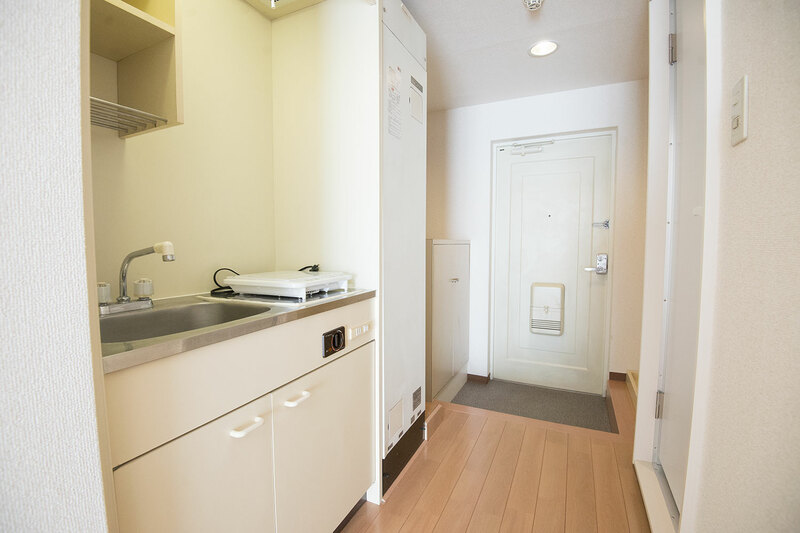 Near the entrance is a mini-kitchen, and simple recipes can be easily made in your room. The toilet/bathtub mix is highly reviewed amongst the ladies in the sharehouse. So, how about it? 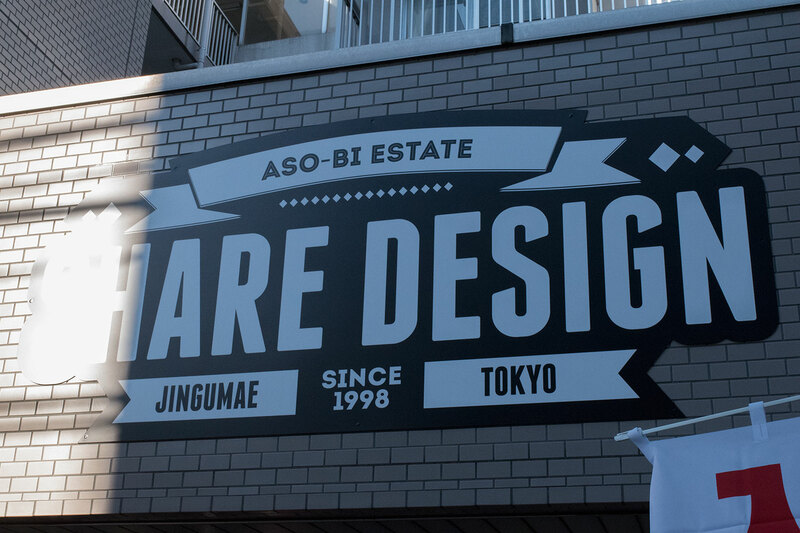 The sharehouse we introduced today is managed by Share Design Inc., operating properties with profound concepts that change the way we think about sharehouses and luxurious facilities, and one sharehouse that stands out among those properties is Share-residence Aobadai. 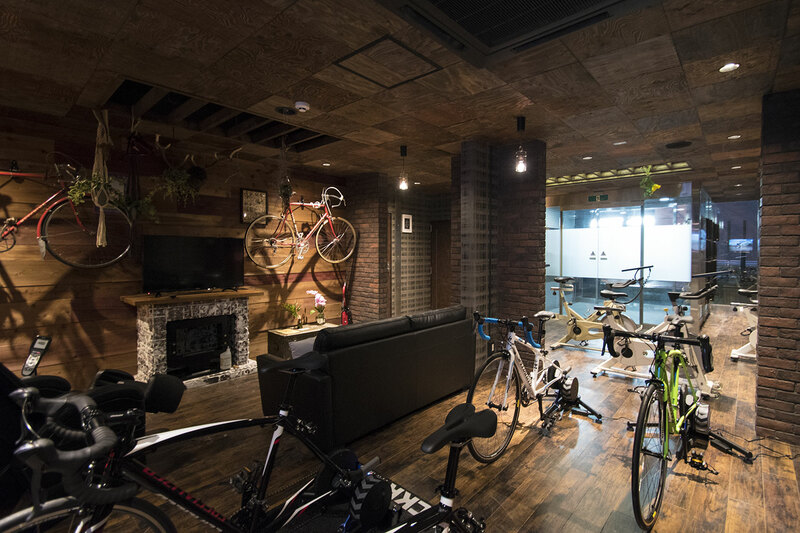 Triathlons + shared living is the main concept of the house, but truthfully that’s just what can be seen face value. 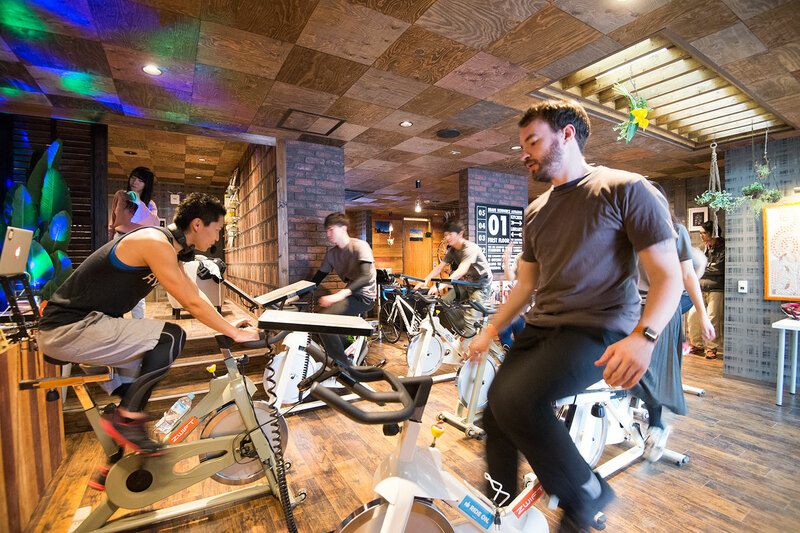 Even if you’re not training for a triathlon, the point of the sharehouse is to make a place where you can feel like exercise is now a daily part of your life. Instead of having to do intense training on your own, we feel that you can have fun working out and keep working out. 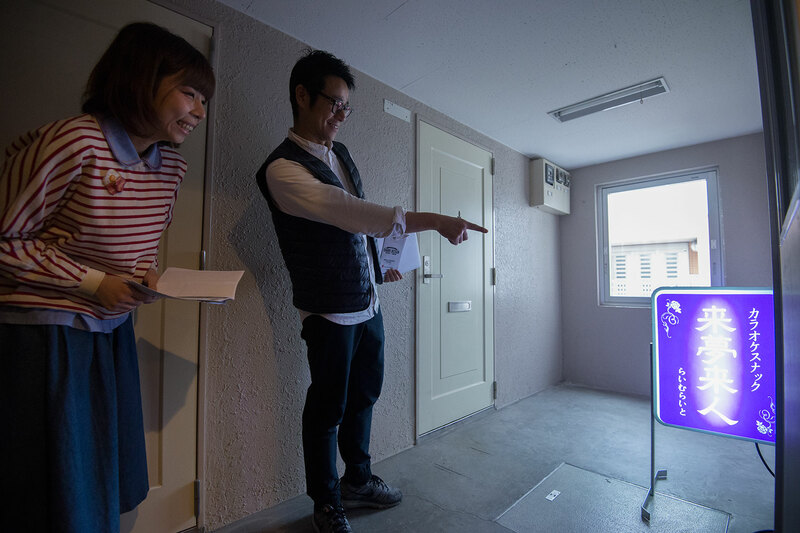 Share-residence Aobadai has all the necessities completely set-up in your own room, so people who aren’t used to shared living will have less of a barrier to overcome and get the chance to experience single-living and a bit more. If it’s your first sharehouse experience, we recommend this property. 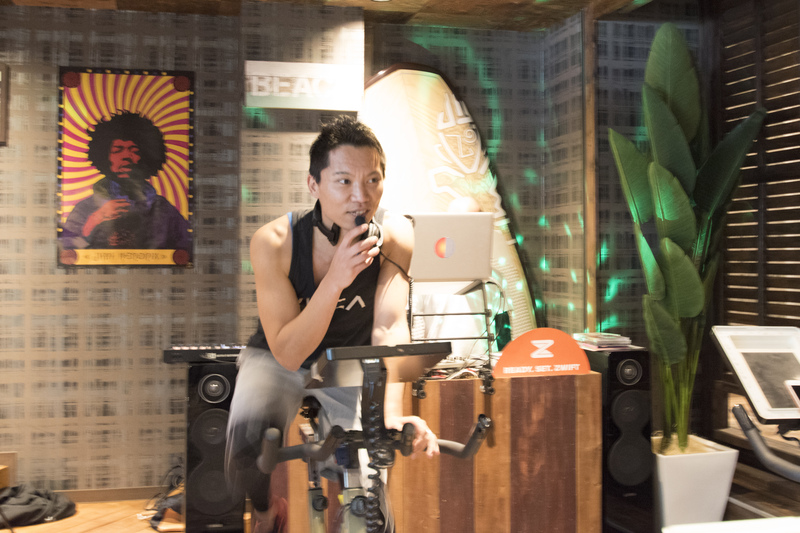 This is the year you make exercise a habit; let’s do it with the people of Share-residence Aobadai.